Hot Wheels are collector cool - more than 15 million people around the world proudly collect Hot Wheels. Follows the format, but expands on the details of the second edition of the popular Warman's Hot Wheels Field Guide. With two Hot Wheels car sold every second, Mattel's reign on pocket-sized racers is at top speed as the company marks 40 years of die cast devotion. 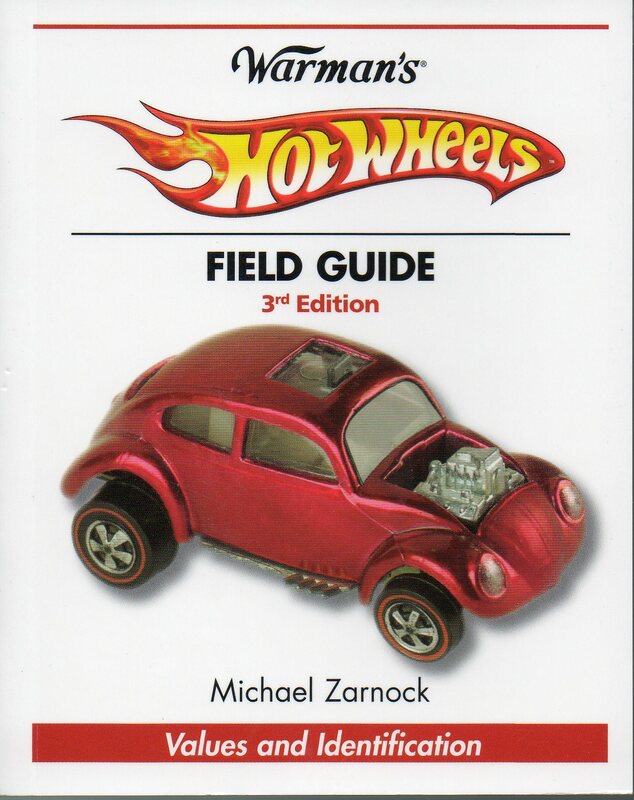 This new edition of the popular portable field guide offers you an extensive collection of Redlines, Blackwalls and Number Pack vehicle details, as well as a "Wheel Guide" for easy identification, not to mention up-to-date secondary market pricing and more than 500 fantastic color photos of some of the finest and most highly prized Hot Wheels cars ever produced. Just like Hot Wheels, this pint-sized guide is poised with 512 pages for top performance. Smaller 5 1/8" X 4 1/4" size, makes it easier to take along.